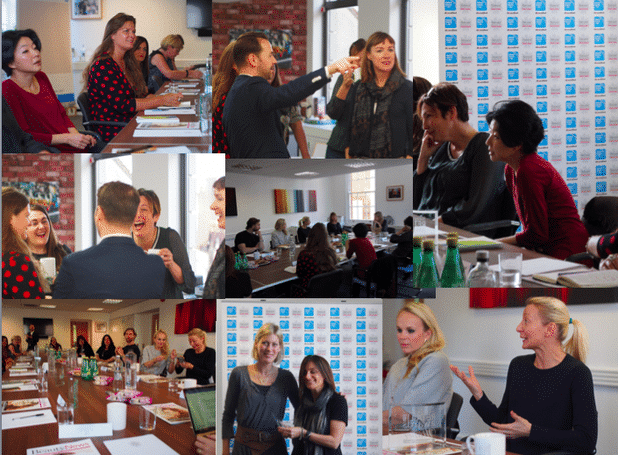 Leading figures from the natural beauty sector gathered in Brighton this week to debate a range of issues – from latest market trends and developments, to business ethics and sustainability. The 2016 Natural Beauty Roundtable brought together a group of 20 prominent brand owners, CEOs, commentators and practitioners for a two-hour themed discussion, working lunch and networking sessions. The event also included the formal presentation of this year’s Natural Beauty Retail Awards. Among those collecting awards on the day were Holland & Barett’s senior beauty buyer Lucy Pottinger (for Best Retail Chain), Lovelula founder Sonia White (Best Online Retailer), Joanne Hill owner of Amaranth (Best Independent Retailer) and Jo Chidley from Beauty Kitchen (Best Branded Store). Weleda UK MD Jayn Sterland meanwhile was presented with an award for being voted number one in the 2016 Who’s Who in Natural Beauty Awards. The main roundtable discussion, chaired by Natural Beauty News editor Julia Zaltzman, focused on four themes – The K-Beauty Trend (Korean and wider Asian beauty trends), Waterless Beauty, Future Proofing and Trends of 2017. The discussion also covered the growing need for natural beauty businesses to demonstrate a coherent sustainability strategy, the future role of personalized beauty, and the emergence of ‘micro-influencers’. The group also advocated an approach which balances a desire for innovation with a respect for trusted ‘hero products’ and ingredients. And there was universal support for the sector to work more closely together and speak with a unified voice. The full report on this year’s Natural Beauty Rountdable will form a centerpiece of the Spring 2017 edition Natural Beauty News. Video interviews with some of this year’s Roundtable contributors will be posted shortly on the NPN and Natural Beauty News websites.